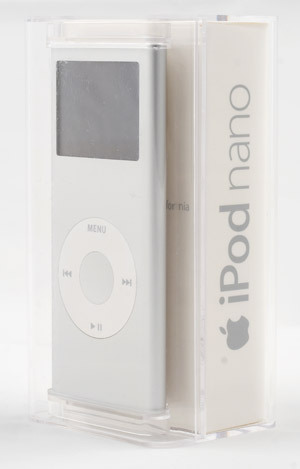 This article won't repeat an analysis of all iPod nano features. We'll focus on innovations and changes compared to the previous model. We'll also examine some popular accessories. 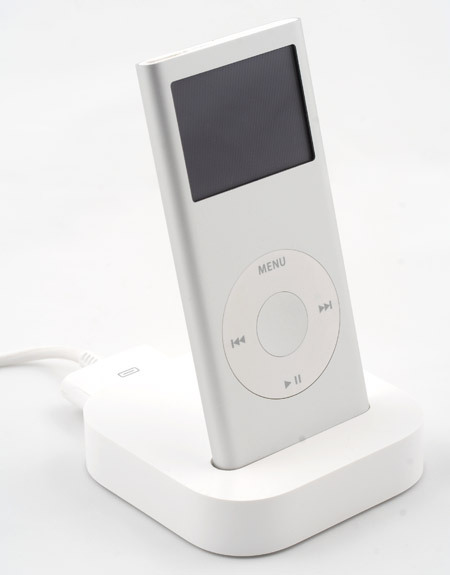 The second generation of the popular player from Apple, presented by Apple CEO Steve Jobs on September 12 (almost a year after the announcement of the first model - September 7, 2005), does not differ that much from the first generation, like, for example, the first model from iPod mini. The reasons are clear: the model is very popular (just look at the results of the financial year: the company sold over 39 million iPods, the exact share of nano is unknown, but it certainly surpasses the sales of large models and shuffle, of course) and there is no need to take risky steps, especially as the market does not require them. So what has been changed and why? Our constant readers may remember that soon after first generation players appeared on the shelves, angry consumers deluged Apple with complaints - the display and the body itself were so prone to scratches that you couldn't possibly do without a protective case. 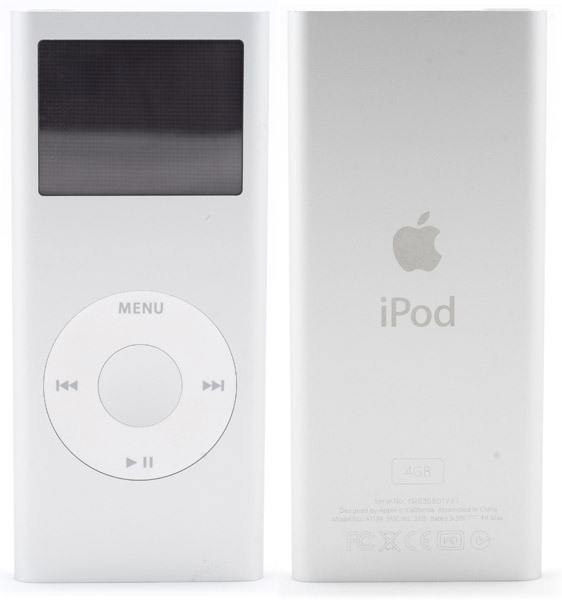 Apple announced then that the player used the same materials as in classic (large) iPods and that there had been no gripes before. The scandal died down in time, but the damage was done. Probably being aware that the threat was still there and the problem might surface again to do even more damage (America often witnessed serious lawsuits), the company decided not to play with fire. It gave thought how to avoid these risks and launch a new model to propel sales. We can see that the main difference between the new player and its predecessor is the aluminum body with rounded corners. As for its exterior becoming better or worse, opinions were divided — some users think it was a correct decision, others liked the more delicate looks of the old model better. We can say one thing for sure — the problem with scratches has been solved. You had to be extra careful with a first generation device, when you put it into your pocket or on a table. To say nothing about finger prints on the rear panel - it was practically useless to fight against them. But there are no such problems with the second generation. We cannot underestimate it — it's a mass product, it must be designed for the masses. The old device was a contradiction between the form and the content — flash memory ensured no moving elements inside, thus you could actively use the device without fearing to damage its inner components. But the body called for maximum careful handling. The display is in a shallow recess (a fraction of a millimeter) to protect it from scratches, when you put it on a table "facedown". Another nice feature - this device has more flash memory, but the price remains the same. The 8 GB model costs just like the 4 GB player of the first generation. Interestingly, body colors are now tied to player's memory volume. That's a disappointment to some users, but we can understand the company. If Apple had offered all colors for all memory volumes, a number of modifications would have been very large. So, a silvery model can have 2 GB or 4 GB of memory. 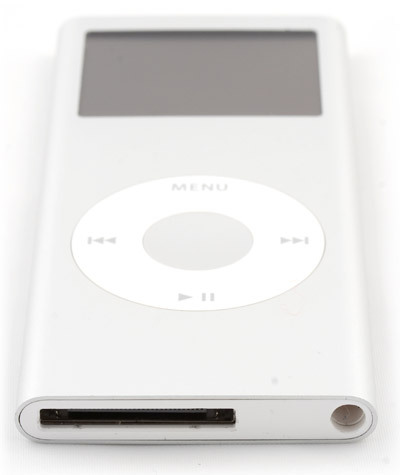 Green, pink, and blue — 4 GB, black — only 8 GB (there is also iPod nano (PRODUCT) RED, described in the first part of our October Digest). On the whole, colors are quite balanced — you can choose a classic, strict or a crying design. Out test lab got a silvery model with 4 GB of memory. It's the most popular color - only such models can be equipped with 2 GB or 4 GB of memory. According to Apple, the display is improved, it's now 40% brighter. How nice. However, we had no problems reading first-generation displays either. Many users of the new product will be pleased by the increased battery life. The manufacturer claims that it has grown from 14 to 24 hours. Our test results are almost no different: from 14 hours 50 minutes to 25 hours 30 minutes (volume was set to 80%, our device was playing the entire audio library, no additional operations — it was on hold). The player will deplete its battery a tad faster in real conditions, of course - turning it on/off from time to time, changing volume and tracks (as a result, activating the backlight). But you can certainly count on 20 hours. There are practically no changes in software. You can learn the details in our first review. There just appeared an option to search your library. It's rather simple - you just type several letters (using Click Wheel) and the display lists all songs (podcasts, audio books) that contain this combination. Apple also changed the package — it's now much more compact and shows off a new player inside. It was most likely done to save room on the shelves in stores. The box shows a player so that you don't have to take it out to put on the shop window. Audio quality is good, the new model plays mp3 files better. You should scrutinize these results, only if you use expensive (more than $100) headphones and are sensitive to the audio quality. In other cases, you will hardly find any audio flaws. When you buy the player, you should decide where you will carry it. Think twice, if you often fiddle around with your player instead of loading a long playlist and not touching the player for a long time. You can carry the player without a holster at all (the problem with scratches was solved), but where? In your trouser pocket - too far. It's OK to carry it in a shirt pocket, but it's risky - the device may slip out. 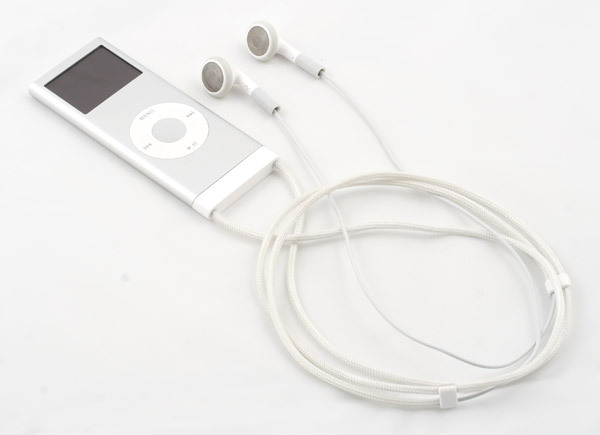 Apple offers a convenient solution for everyday use — Lanyard Headphones (on the photo). You wear it about your neck, and the player is secure on your chest. You can adjust the height. 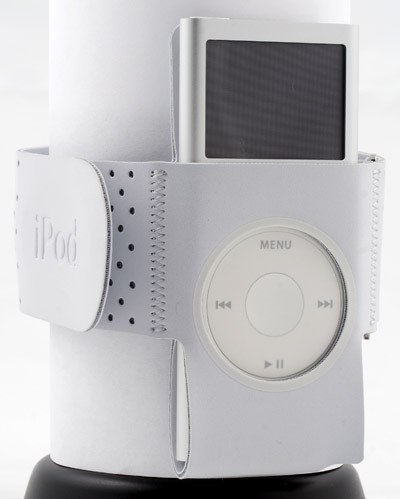 It's convenient to wear the device like that as well as to play music. Pay attention to the adapter — its edges are rounded to replicate the shape of the player. Hence the conclusion: Lanyard Headphones are designed for the second generation of the player. Unfortunately, there are no side latches. This accessory is disconnected by just pulling it out: although it's rather secure, there are still chances of disconnection. Besides, it can be snatched off with a strong tug. If you like to do sports to music (running, skating, cycling, working out in a gym), you will need Armband. The player is secured on your arm. Click Wheel is protected with a special film. But you can still control the player without taking it out. The bundle does not include a docking station again (just an adapter). You will have to buy it, if you want. Even though players of the first and the second generations look alike, their docking stations are different (it has to do with different bodies — the new player has rounded sides). 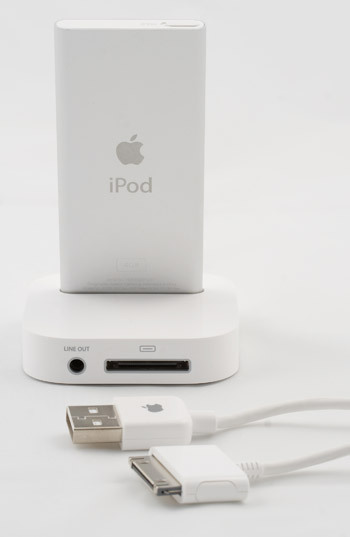 So the new iPod nano will not be compatible with the old docking station and vice versa. Along with a USB port, the rear panel houses stereo audio-out. The player is charged from USB as well. 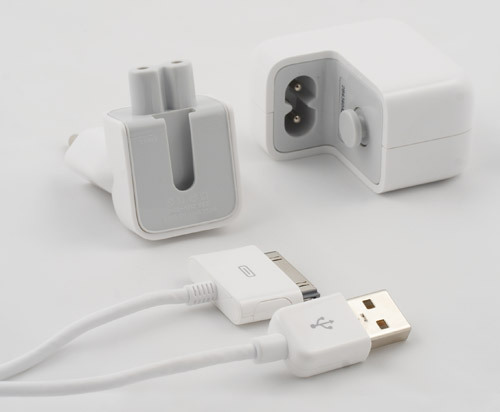 If you travel without a notebook, you should buy a power adapter (it's not included into the bundle). It consists of two parts (a plug and an adapter itself). Its rear panel contains a USB connector, which can accommodate a usual bundled cable and the one that comes with a docking station. So what have we got as a result? A modified body to solve the problem with scratches, various colors, increased memory volume at the same price, and a significantly longer battery life. There is nothing revolutionary here. But on the whole, it's a decent replacement for a still modern model.